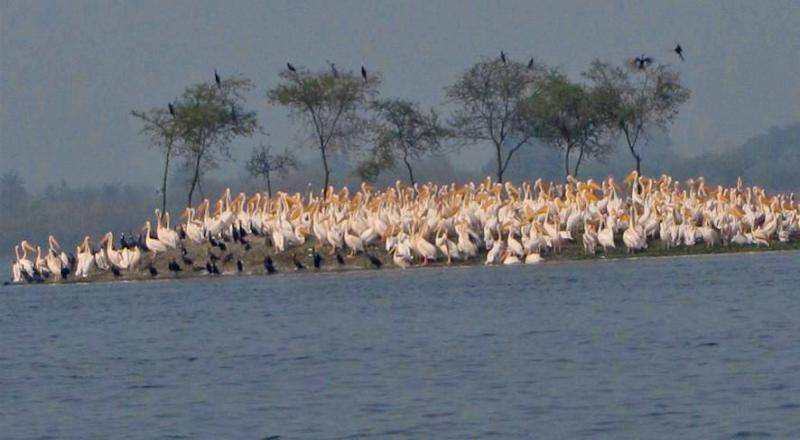 The Keetham Lake lies in the Sur Sarovar Bird Sanctuary about 21 KMs from Agra on the NH2 Highway. A less known tourist attraction today, it provides ideal habitat to over 108 different types of native and migratory birds with small artificial islands built for their nesting. The manmade lake is well fed by the Yamuna nearby, via the Agra Canal. The best time to visit this place is in the winter season from November till March when climate conditions are perfect for breeding for the birds. However, the Keetham Lake faces environmental degradation with large scale illegal constructions nearby and fluctuating water levels due to negligence in pumping purified water. Presently, a number of governmental initiatives have been taken up to restore its natural beauty.